Prairie Quilts and Kolaches: What is an organic turkey? What is an organic turkey? I've had several folks ask "What IS an organic turkey?" Organic farmers never use antibiotics, or synthetic hormones or pesticides in production. For turkeys, organic management starts the first day out of the egg. The turkeys receive only 100% certified organic feed, grown without synthetic fertilizers or pesticides for a minimum of three years. 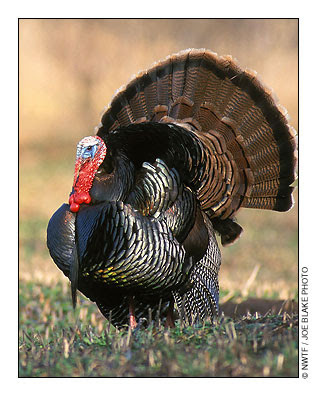 Organic turkeys are allowed to express natural behaviors such as scratching and hunting for bugs, and have regular access to the outdoors. I'd even be ok if they weren't fed 100% certified organic feed. Turkeys that could be outside, living "normal" lives are what I want. No meds, hormones, etc. I'm thinking it's too late to order one online. ––"It would be nice if the Food and Drug Administration stopped issuing warnings about toxic substances and just gave me the names of one or two things still safe to eat." No worries... I found it!! and at the previously "worthless" Hy-Vee store. Today they had them when I called. I only saw 2 in the case- a BIG one (28lbs) and the 12lber I got. They may not ship them, but YOU do, right, Sparkie? Yep, I would if ya needed me to!